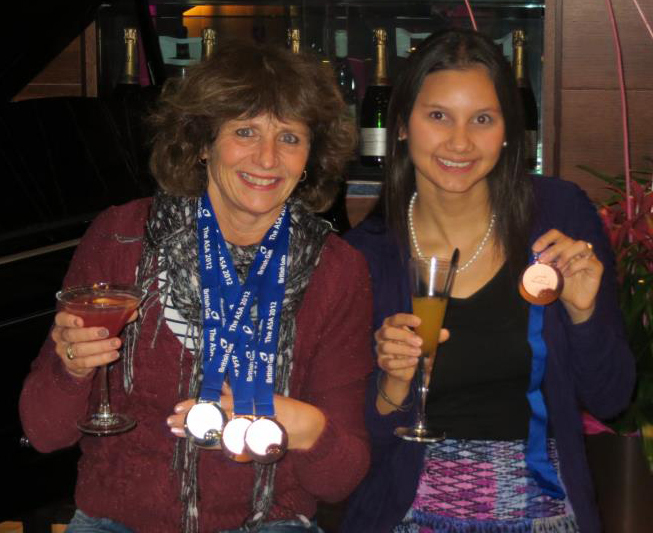 Well done to Sara Perry (left) and Christine Hoyle (right) on a fantastic medal haul for Cally Masters at the British Masters National Swimming Championships 2012, held at Ponds Forge, Sheffield. Christine got a bronze in the 200m fly, Sara got bronze in the 50m breast and also the 400m free and a silver in the 200m breast. Sara said ‘I was really pleased with my 400m free time and thrilled to get a medal as I was only seeded 5th. We had a great weekend and a good night out on Saturday’.